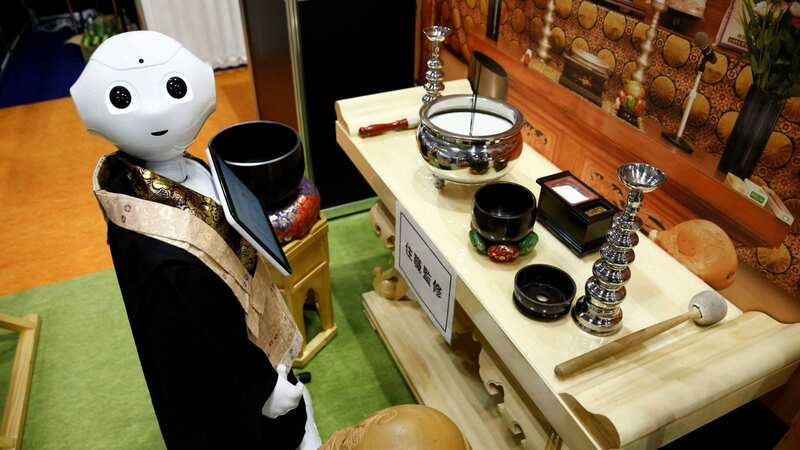 SoftBank’s Pepper, a humanoid robot, will chant sutras in a computerised voice while tapping a drum, providing a cheaper alternative to a human Buddhist priest for funerals. The robot was on display on Wednesday at a funeral industry fair, the Life Ending Industry Expo, in Tokyo, shown off by plastic moulding maker Nissei Eco, several reports said. Pepper is yet to be hired to conduct a funeral, but with robots slowly creeping into most facets of life it seems inevitable for them to be involved in this act too. According to data from Japan’s Consumer Association in 2008, the average cost of a funeral in Japan reaches £20,000 with human priests costing £1,700. With introducing Pepper, Nissei Eco aims to make robot priests available for as low as £350 per funeral. With an ageing and shrinking population across the country, many Buddhist priests are bound to find part-time jobs outside of the temples due to lack of financial support from the community. Michio Inamura, Nissei’s executive adviser, suggested Pepper could step in when a human wasn’t available. Would-be funeral arrangers have the option to deck Pepper out in the robe of a Buddhist monk and can even live-stream the ceremony to those who can’t attend the funeral in person. Robots have been fast to enter the religious business. Earlier this year, a German church launched a robot ‘priest’ that beams lights from its hands and gives automated blessings to people. The unique robot was launched in the historic town of Wittenberg to mark 500 years since German priest Martin Luther published The Ninety-Five Theses — a work widely acknowledged to have spread the Protestant Reformation. The robot, called BlessU-2, was developed by the Evangelical Church in Hesse and Nassau. 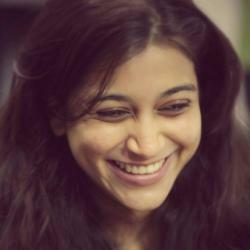 Priya Singh leads the editorial team at AIM and comes with over six years of working experience as a journalist across broadcast and digital platforms. She loves technology and an avid follower of business and startup news. She is also a self-proclaimed baker and a crazy animal lover.